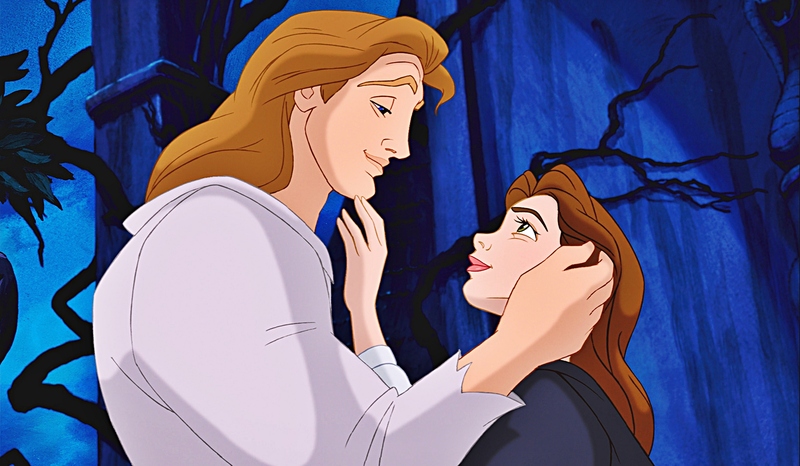 Beauty and the Beast Wallpapers - Belle and Adam. . HD Wallpaper and background images in the Beauty and the Beast club tagged: photo belle adam beauty and the beast disney. This Beauty and the Beast photo contains anime, comic book, manga, and cartoon. This was my favorite scene in the movie When Prince Adam kissed Belle I was like YEs and Prince Adam is more cutter then Kirstoff in Frozen"